Put that together with a strong cup of coffee. Black of course. There is no need for sugar because the “kaya” comes with lashings of sweetness which would cancel out the taste of the sugar in the coffee. Great mid-afternoon pick-me-up, which is what I needed recently and Hubby was good enough to sense that and take me for. 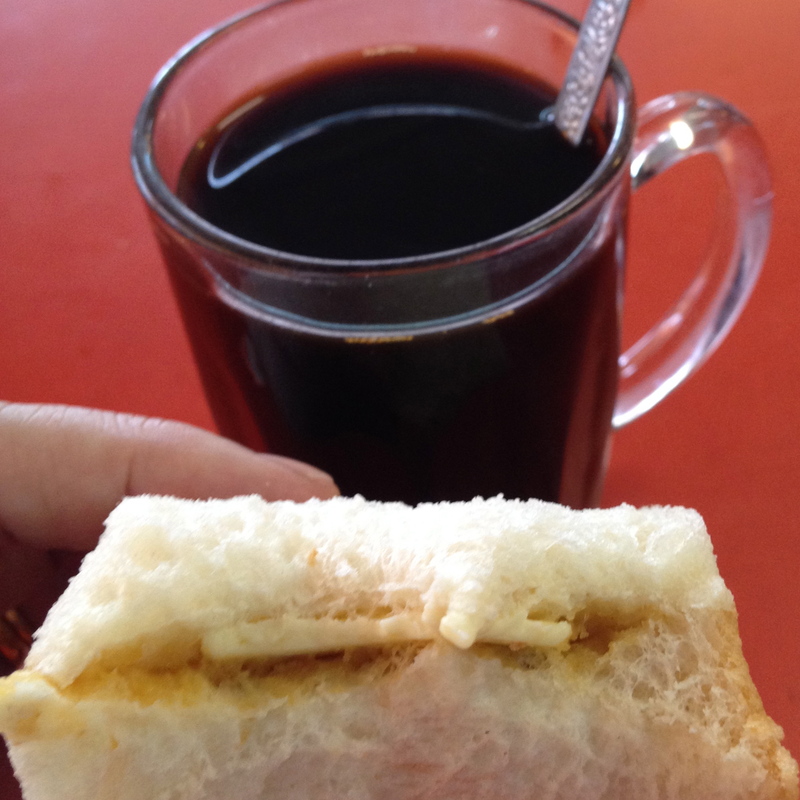 This entry was posted on 05/11/2013 at 22:51 and is filed under Family, Gastronomy, Lifestyle. You can follow any responses to this entry through the RSS 2.0 feed. You can leave a response, or trackback from your own site.